If as a Western Man you decided you wanted to live in Russia with your Russian wife or GF , where would you live and why ? With the exception of Moscow which are the most interesting and pleasant city's to live in ? A very difficult question to answer. 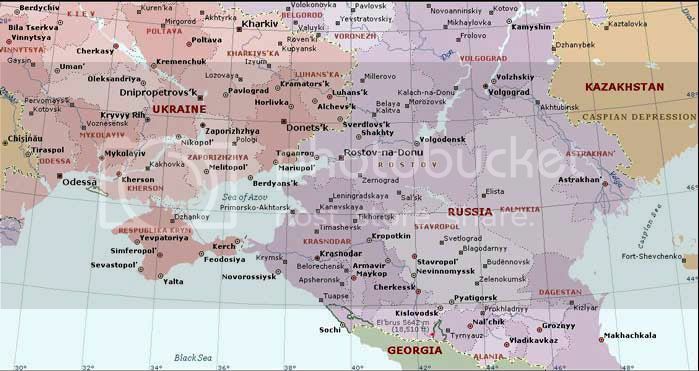 In my opinion If I had a choice I would opt for Southern Russia (Black Sea Region). Not that I do not like living on Sakhalin Island it is just that Sakhalin Island is so difficult to get to, I call it "The Island at the end of the Universe". I still haven't figured that out yet. My preference goes to Saint Petersburg, all the way in the north. Ras i am tending to agree with you about the South, although St Peters is a wondeful city with easy acess from Europe, the south has better weather and big Roosky Winters don't appeal to me. Of the South Sochi looks realy interesting , Black sea, great climate, surrounded by good nature and ski resorts, looks to be the place in Russia with everything and with the winter Olympics coming in 2014 i guess there is a lot of investment there , although i have not yet visited, in this region there is also Krasnador and Rostov to consider. Anybody with experience of Sochi or the other citys feel free to share your thoughts. I agree with both of you that St. Peters is a lovely city but last time I visited, in February 2004 it was full of snow and very cold, so like you I would prefer a southern location and looks that Rostov on Don is a good one, according to Sparky, who has a house and family over there, and is by the sea. The other places I have visited, apart from Moscow, Tula, Archangelsk, Sterlitamak and of course Ufa, I don't find them exciting. Probably I could live in Ufa, because of our house and the family and friends but the cold winters with the snow and the extremely hot summers is not very appealing after awhile living there and I have been several times. I guess if I had to ...... I may would get used to it! A few years back we were discussing that question for real. Our visa application was sitting in never never land and it appeared like it could stay in limbo forever. We had decided if the problems continued we would find someplace in the world to live together. In Russia we looked hardest at Sochi. We went there together for a week and checked it out. I can't say there was anything wrong with it and if the choice was living somewhere in Russia I would consder it strongly. I would not look that seriously at St Petersburg although it was the most beautiful and most interesting city in Russia that I have been to. Just something about dealing with the cold and snow would be a turn off for me. Sochi by the way has palm trees. The other cities I liked in Russia would be Rostov which seemed modern and nice and Nizhney Novgorod which seemed rather negelected but was a very interesting city. I think if I were making the choice for real it would be between N.N. and Rostov. If you add Ukraine into the equation then I think those two would move to second and third place behind Kiev. Not that it matters but after checking out a number of possible places to live had our visa remained in limbo the place we picked to make our home was Grenada. We were actually there on a few month visit when we got word our visa was moving forward.